The one thing you could be sure about in childhood was that every fairy tale would end with a “happily ever after”. But what if we were to continue on with what happened to the beautiful princesses after we closed the last book page? 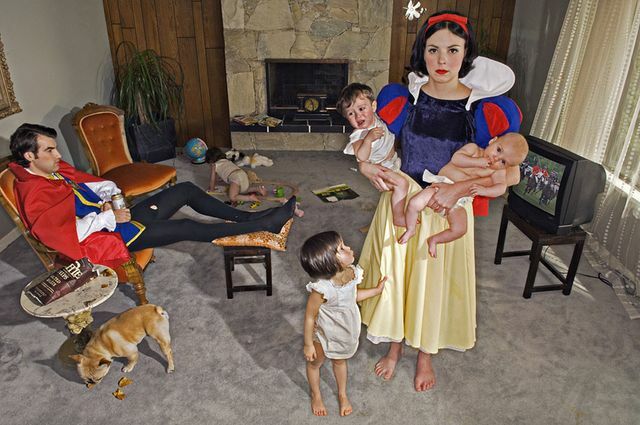 Photographer Dina Goldstein imagines what lives of the Disney princesses turned out to be if we left all the fairy tale luck and charm aside.